Grab a tissue, this is a tear-jerker. Olajumoke Orisauguna rags to riches story is really heartwarming. 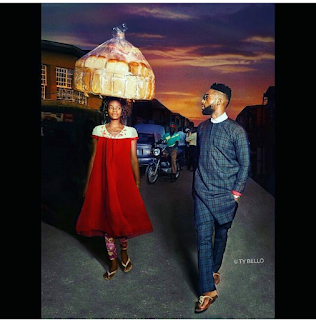 A bread maker in a market bakery, the 27 year old unsuspectingly walked onto the set of British-Nigerian rapper Tinie Tempah's This Day Style magazine photo shoot and became an extra purely by coincidence. "Some people asked her to leave the set and others asked to stay, I signaled if it was OK to take her photograph and she agreed and I pressed on my shutter so she could move ahead...I was wrong to have to paid her such little attention. Every frame with her in it was perfect. 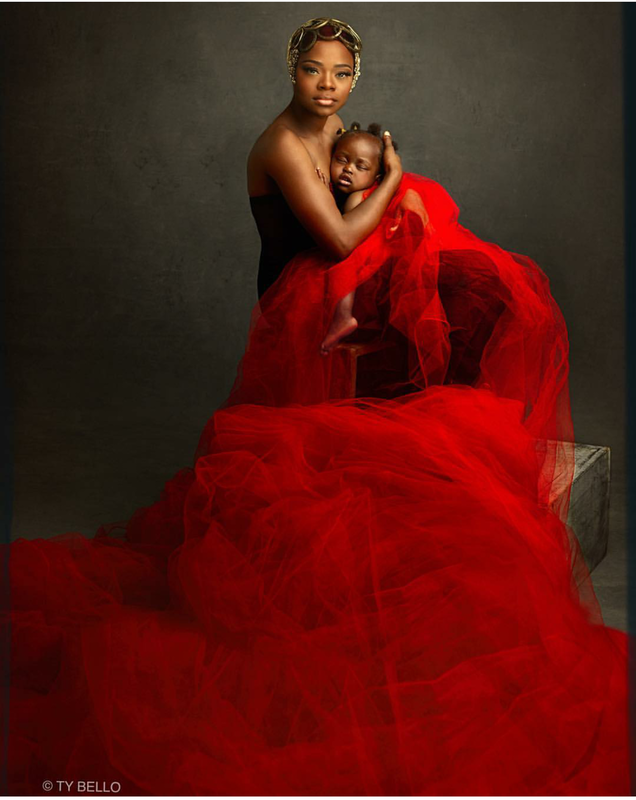 I had found a second subject in Tinnie's story"
The attention from Ola's shoot was astounding. 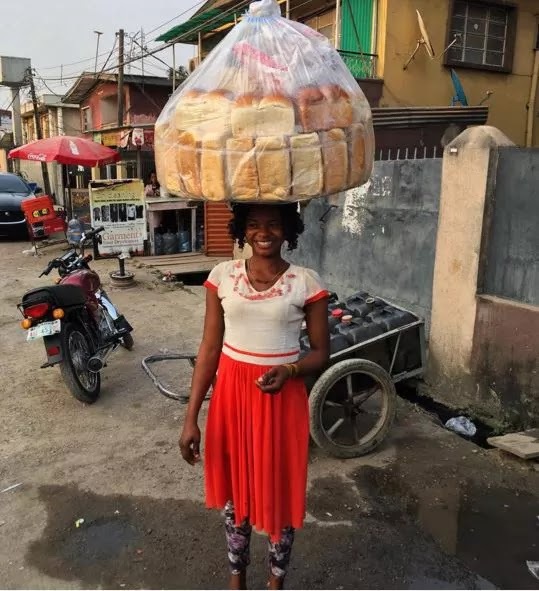 Yes Tinie looked good and all but people were in awe of this beautiful goddess gracefully balancing that heavy load of bread on her head. Who was this star? The buzz from the shoot caused the photographer to search for her and proving that this chance meeting was destined to be - they found her. Activate transformation from bread hawker to beauty queen. 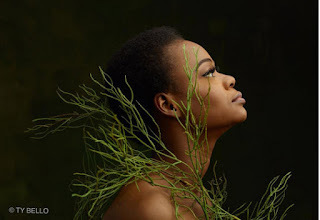 Ty Bello decided to capture her story and called in industry favors from top professionals in Lagos - Bimpe Onakaya who represents Maybelline Nigeria and Zubby a leading hairstylist. Now let's pause to acknowledge how mind blowing all this must have been for her? I would have passed out. Keep in mind that Olajumoke's story is quite remarkable. 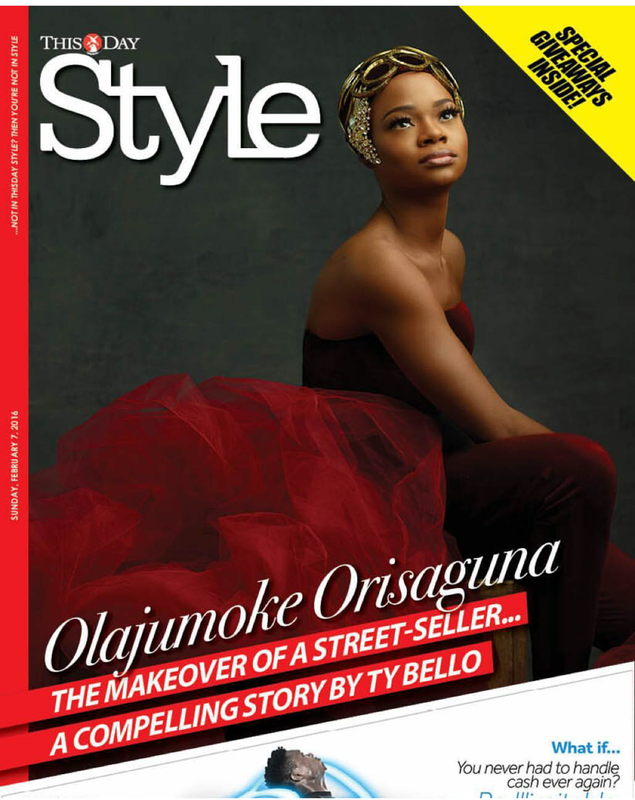 "A hairstylist from Ire in Osun state she was not making enough profit between she and her husband, a sliding door installer from the same village" says Ty Bello. She continued on "In order to take care of her young two children, at the invitation of a distant relative who knew someone operating a bakery, she relocated to Lagos with their 14 month old daughter to give bread hawking a try. 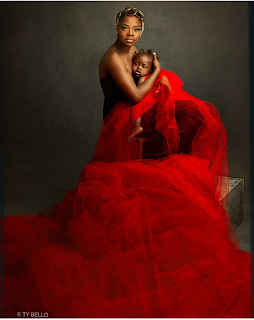 She left her husband and an older 5 year old behind"
The shoot was just the beginning of her amazing journey in the limelight. "We all decided that the makeover would be incomplete if it ended at the studio. 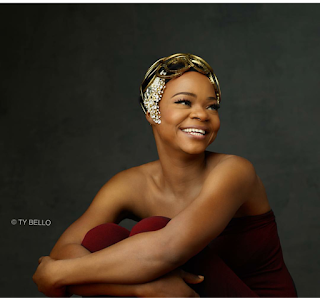 Everyone started to reach out to their contacts and through Bimpe we were able to get her a meeting with Ugo the pioneer of Make-me salon"
That gorgeous headpiece that she's wearing? It was made from scratch with a gold bangles and a broach. God is good ain't He! 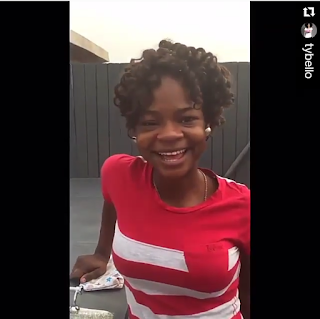 Jumoke's life story just give me goosebumps. 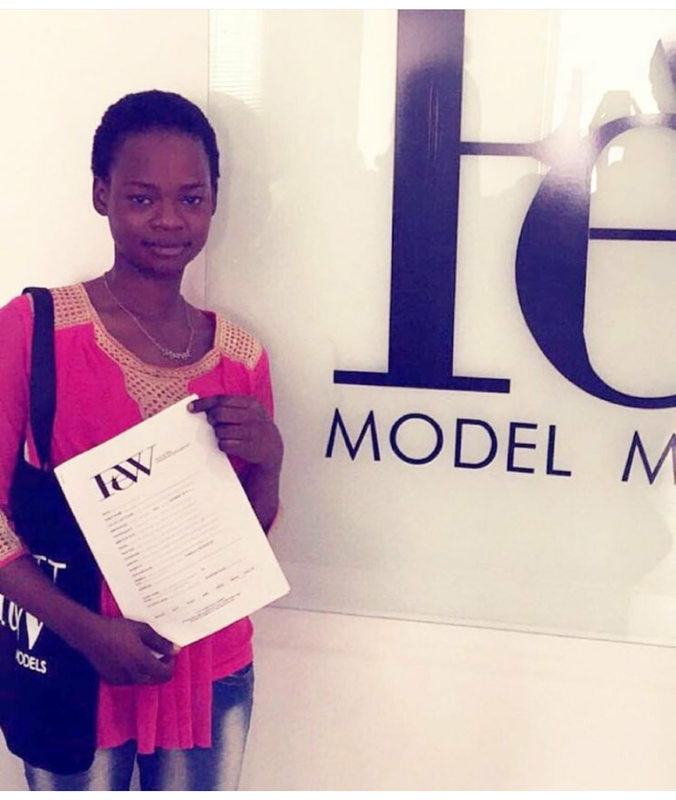 A chance meeting resulted in a magazine cover, an internship, a modeling contract and a job! Slay Girl! So happy for success. dreams really do come true.